Even though my teenage years were spent in the 70’s, most of my favorite music was from the 1990’s. Some of my favorite artists were Nirvana, Soundgarden, Stone Temple Pilots, Mary Chapin Carpenter, Nancy Griffith, The Cardigans, Letters To Cleo, and Green Day, to name just a few. 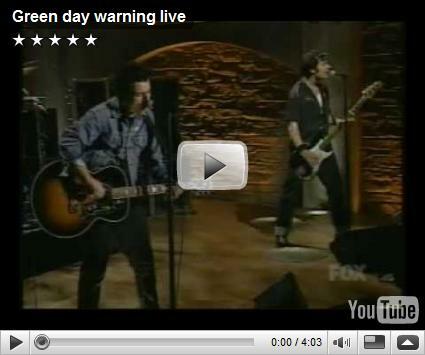 The album "Warning" was released in 2000. One of my favorite bands is The Cardigans. Besides their originals they have covered several Black Sabbath songs in slow motion. 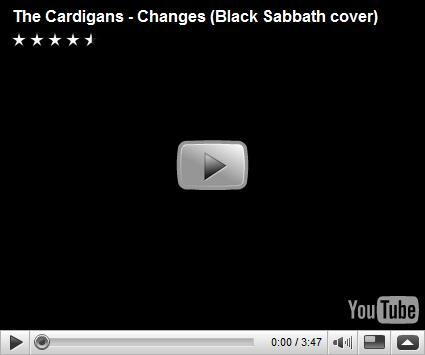 Black Sabbath’s original version of Changes was pretty slow already. It would make a pretty decent country song. Singer Nina Persson has another group called A Camp. If you like The Cardigans, you should like them as well. I am currently reading Richard A. Clarke’s book "Against All Enemies". I highly recommend it. It is well written and mostly easy to follow. Mr. Clark is a former long time government employee who had worked in the consecutive administrations of Ronald Reagan, George H.W. Bush, Bill Clinton, and George W. Bush. He routinely held positions that required the highest of security clearance. It would include being Chief Counter-Terrorism Adviser on the U.S. National Security Council. That made him a member of the executive branch on 9/11. Published in 2004, the book is about his involvement in helping to direct the counter-terrorism strategy for the United States, through his retirement in 2003.
boyfriend home and that the American hated the U.S. government. I am a life long Democrat. I supported you through most of your campaign. I have never voted for a non-Democrat for president. Now that you have decided (?) to surrender to the medical cartel, first on single payer and now on a public health care option, my only thought is that how “they” have won and “you (alone)” have failed. Do you think Fox News will ever let you live this down? Fox and their paymasters have beaten you and they know it. I, for one, am ashamed. I am ashamed that lies and money have finally gotten to you. Maybe I am the one that failed in believing that you were capable or willing to change anything. This was your Waterloo and you did not win. You just managed to have an orderly surrender. I have always liked Ten Years After. Alvin Lee has always has been an under appreciated great guitar player, that could also sing. This is not a performance video, but more like a slideshow. It’s pretty interesting though. A reader on my blog contacted me recently. He asked for my help getting his music files from a Fostex VF-16 to a computer, and specifically to the digital audio workstation (DAW) software, Cakewalk Sonar. I have a VF-16 and I use Sonar as well, so I have lots of experience with that configuration. I have owned a VF-16 since about 2000 or so. I bought it at Peeler Music in Toledo, Ohio. I tried several digital multi track recorders before I found this one. I made the right choice, no doubt. This made me curious about the optical transfer options as well. I’ve never had any need for them, having always used the SCSI port on my recorder. As a result, I had only limited knowledge of the S/PDIF and ADAT features. I started learning about, and experimenting with, the SAVE PGM option using both the ADAT and S/PDIF outputs. I also found a used ADAT interface for my computer. I have very seldom used the LOAD PGM option. There are two connections for copying the files from the VF-16 using the three protocols, SCSI, ADAT, and S/PDIF. ADAT and S/PDIF share the optical connections on the VF-16. ADAT and SCSI are somewhat antique methods. So if you don’t have one of these devices, your only option might be eBay or a used parts store.